Rock this versatile ring with nearly anything in your wardrobe! 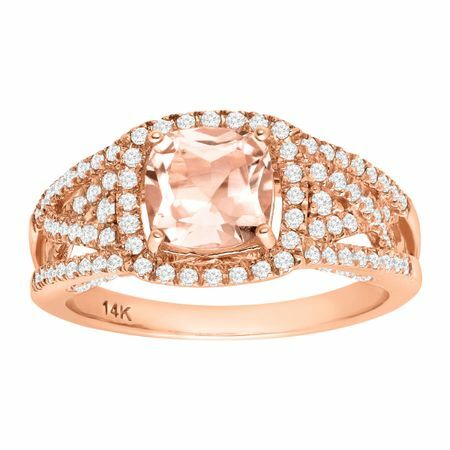 A 1 1/2 ct cushion-cut natural morganite is surrounded by round-cut diamonds woven throughout the piece, totaling 1/2 ct, all set in 14K rose gold. Ring face measures 3/8 inches in width.